The international bestseller, reissued with a striking new illustrated cover. Part of The Bloomsbury Phantastic series – three books tracing the tradition of fantasy from Edgar Allan Poe to Neil Gaiman and Susanna Clarke. Susanna Clarke’s novel is an epic tale of nineteenth-century England and the two magicians who emerge to change its history. In the year 1806, in the midst of the Napoleonic Wars, most people believe magic to have long since disappeared from England — until the reclusive Mr Norrell reveals his powers and becomes a celebrity overnight. Another practising magician emerges: the young and daring Jonathan Strange. He becomes Norrell’s pupil and the two join forces in the war against France. 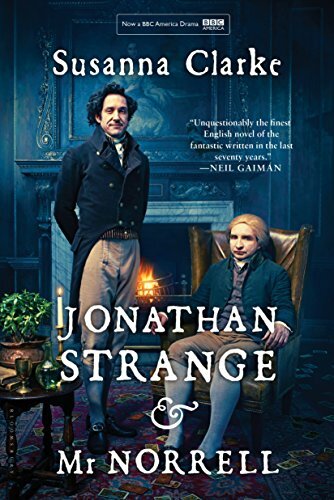 But Strange is increasingly drawn to the wildest, most perilous forms of magic and soon he risks sacrificing not only his partnership with Norrell, but everything else he holds dear.